1 bar of good quality organic chocolate 70% or above. Wash the strawberries, but leave them whole with the leaves still intact. Cover an oven tray with some baking paper. 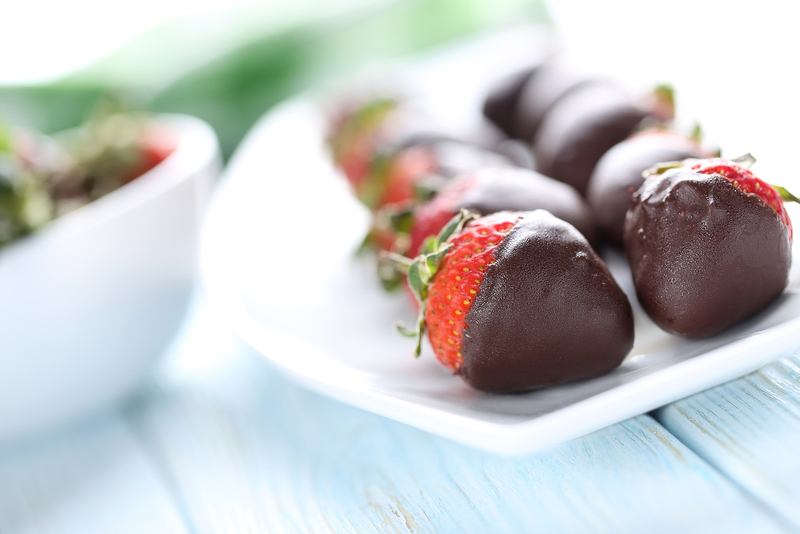 Dip each strawberry into the chocolate to cover half way & place on the tray. Once all the strawberries have been dipped in chocolate, put the tray in a cool place to set.